Buy Bags Early and Save! Everything you need to know about how to travel with your stuff. Do you want to get on the plane first? You get Zone 1 boarding when you purchase a carry-on bag! For domestic flights you must be checked in with your baggage no later than 45 minutes before departure and 60 minutes before departure for international flights! *All Elite members receive a free carry-on bag and all Elite 100k members receive a free checked bag and free carry-on bag. ** All prices are per person, per direction.  Carry-on bags can be no larger than 24"H, 16"W, 10"D (including handles, wheels, and straps) and no heavier than 35 pounds. Carry-on bags must fit in the overhead bin. Carry-on bag prices vary based on when you purchase and are non-refundable. FRONTIER Miles Elite members and passengers who purchased THE WORKS℠ always receive a free carry-on bag in addition to their personal item. Note: If you arrive at the gate with a carry-on bag that exceeds the allowable dimensions you will have an additional charge to gate check the bag. Coats, diaper bags when traveling with an infant, canes, crutches, Portable Oxygen Concentrators, respiratory devices or any other assistive devices, and foot rugs for use during prayer are all free to carry on in addition to your one personal item. Don’t bring weapons (or anything that could be used as a weapon or to inflict bodily harm), explosives, or incendiaries. Review a list provided by the TSA of permitted and prohibited items which may be included in carry-on baggage including the 3-1-1 Liquids Rule. If you have a bag (or multiple bags) that you don’t need to have close to you during your flight, check it!  Checked bags must be within 62 linear inches (that’s length + width + depth) and no heavier than 50 pounds. 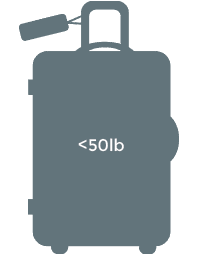 Baggage that goes over these limits will be charged an additional $75 for exceeding weight and and additional $75 for exceeding linear inch limits. Bags will NOT be accepted if it is over 100 lbs* and/or over 110 linear inches. 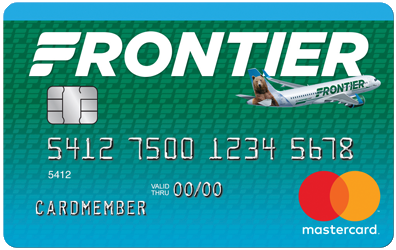 FRONTIER Miles Award Redemption Tickets have the same baggage allowance. Passengers who purchased the WORKS℠ always receive a free checked bag. Checked bag charges vary based on when you purchase and fees are non-refundable. Pssst... Frontier Tip: We suggest you do not pack valuable items in your checked bag! Safety is always a top priority, and all baggage is subject to inspection by security (TSA) or Frontier personnel. What shouldn't I pack in my bag? Be sure to not lock your bags, as they should be able to be opened easily for a quick inspection. Additionally, we recommend that you do not pack cash, electronics, jewelry, laptop computers, medications, important documents or car keys in your checked baggage— just to be safe. Except where required under the Montreal Convention, Frontier is not liable for the mentioned items if you pack them and they are damaged or your luggage is lost. We do not allow spare lithium ion batteries or e-cigarettes. When can bags be checked? You can check your bags up to two hours prior to your departure, so you have plenty of time to relax at the airport. Note: For domestic flights you and your baggage must be checked no later than 45 minutes before your departure and 60 minutes before departure for international flights. * Limited to 70lbs when flying to or from Canada. We understand that our travelers often fly with more than socks and a toothbrush. For anything that won’t fit in your suitcase or needs special handling, please view Sporting Equipment & Special/Fragile Items PDF for a breakdown of how you can travel with different items. The regular rules for carry-on and checked baggage — like dimensions and price— apply to everything here unless otherwise noted. Frontier Airlines takes the transportation of firearms and ammunition very seriously. We believe there is a perfect balance between observing your right as a citizen and keeping everyone safe at airports and on flights. If you’re familiar with the security requirements and checking firearms and ammunition, then you’ll surely recognize our rules. If you aren’t familiar with how it works, below are ten easy rules you must follow. Pssst... Frontier Tip: Don’t forget to make sure you comply with the state laws and regulations of the state or territory to which the firearm is being transported - each one is different. You hope it never happens, but it’s best to be ready if it does. It’s our responsibility to take care of your belongings, and we don’t take it lightly. Frontier Airlines is 100% committed to helping in these situations. If your bags are damaged or do not arrive where you do, be sure to report it (whether it’s damaged or lost) before you leave the airport— the sooner we can respond to the situation the better. All claims for damaged or lost baggage must be made within 12 hours of your flight's arrival with an agent at the arrival destination or through the Central Baggage Office. The Central Baggage Office may be reached at (801) 401-9000 (say "baggage"). What can I do if my bag has been damaged? If your bag is damaged, report the damage within the first 12 hours of arriving at your destination. Present your damaged bag so the agent can determine the liability. It’s important to keep in mind that while we will always do what we can to help, we simply can’t be liable for normal wear and tear. This includes scratches, small dents, rips, tears, and general dirtiness. Frontier accepts no responsibility if your bag was clearly overstuffed beyond its capacity. We aren't liable for the baggage carried in the passenger area of the aircraft (carry-on baggage). If the agent determines that Frontier was responsible for the damage, we will proceed with the next steps from there. Note: Except where required under the Montreal Convention, Frontier is not liable for the below mentioned items if you pack them and your luggage is lost or damaged. Antiques, art, art supplies, artifacts, bags made from lightweight material not designed for shipping, blueprints, books, business documents, CDs, collectibles, computer equipment (including hardware, software and all accessories), dentures, DVDs, files, fragile articles or other similar valuable items and commercial effects, hand and power tools, heirlooms, irreplaceable items, jewelry, keys, liquids, machinery and their parts, manuscripts, medication, medical equipment, money, musical instruments, natural fur products, negotiable papers/instruments, optics, orthodontics, orthotics, paintings/works of art, photographic/video/electronic equipment and accessories, precious metals or stones, publications, samples, securities, silverware, sound reproduction equipment, surgical supports, toys, and unsuitably protected recreational and sporting equipment. It’s not something you ever expected. If it happens to you, we want to solve the problem, which means reuniting you with your bag. Once reported at the airport, a representative will create a tracing file and provide updates to you regarding the status of your bag. From there, you’re in good hands. Our team will be working to get your bag back to you. To submit information directly about your baggage, you can fill out our Delayed Baggage form. Note: Liability for loss or damage to checked baggage is limited to $3,500 per ticketed passenger for domestic travel. What is the international liability limit? For travel governed by the Warsaw Convention, liability is limited to USD 9.07 per pound, or actual value, whichever is less, for checked baggage and USD $400 per passenger for unchecked baggage. For travel governed by the Montreal Convention, liability is limited to $1,131 Special Drawing Rights per passenger for checked and unchecked baggage. What if I left items on the plane? We’re sorry to hear you left something on-board, but we’re here to help. You can fill out our lost and found form. For more information, we have some extensive language about loss, damage and delay of property included in our Contract of Carriage. Smart Bags transported on Frontier, including both checked and carry-on, must have the lithium battery removed from the bag and the battery carried in cabin. 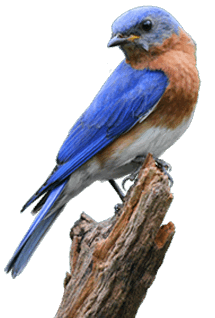 Any Portable Electronic Device (PEDs) (e.g. backpacks, purses, clothing items, etc.) equipped with a lithium battery offered as checked baggage must have the lithium battery removed prior to being checked-in. The lithium battery must then be carried on board as permitted by security regulations. Uninstalled and/or spare batteries must always be carried in the cabin. Note: Frontier classifies Smart Bags the same as a spare battery and/or charging device. These baggage waivers apply to the individual with active duty status and does not extend to family members or traveling companions. All baggage accepted from U.S. military passengers must comply with baggage acceptance policies regarding size and weight limits. Oversize and overweight baggage fees are waived for the first two free checked bags. Please note: U.S. military passengers are defined as active duty armed forces, reserves, and national guard. *Active military passengers, subject to verification explained in the FAQ, may bring one carry-on bag and/or may check up to two bags, which may be oversize and/or overweight, for free. This benefit does not extend to family members or other travelling companions.